When I saw what this week's topic was going to be, I decided it would be a grand time to rejoin the blogging community in sharing a list for Top Ten Tuesday. This week is all about those bookish problems one might have, and it certainly surprised me that I so easily came up with enough for a full list! I read book 4 and 5 of the Bloodlines series together and had a 4 month hangover. Amazing books are amazing. Except they ruin your life. Interruptions are worst. Especially when you're obviously reading AND have headphones on. Double NO. And they ALWAYS happen at the MOST intense scenes. The world is cruel that way. Omg. I can relate to all 10 of these! But my favourite part is the fact that you used gifs from Tangled<3 :). Love your blog! 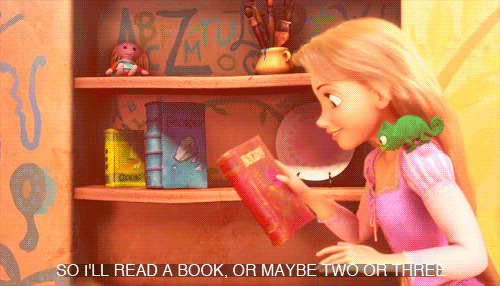 This was just too cute with the Tangled GIFs, but yes I completely agree with them all!! I WILL GO DOWN WITH MY SHIPS (haha). Seriously though, that is the WORST. When my ship sinks I genuinely just want to throw the book out of the window and when another ship sails I'm like, WHY ARE YOU HURTING MY SOUL? Book hangovers are something I experience and I always feel sorry for the next book because then I unfairly start to compare the new with the last. I also have the same problem of figuring out what to read next. It's hard when I have so many options. Love your list. Those gifs are PERFECT haha. Love it! Picking the wrong ship - this is one reason I hate love triangles and avoid them! So thankfully this is never a problem for me haha. Good ones! I sure do hate interruptions! Haha, I love the GIF for #4! That is certainly how I feel when I am rudely interrupted while reading a good book! Yes I love all these Tangled gifs! Especially Flynn and Max for 9. I'm on a book buying BAN this year too, but, that lasted a month before I couldn't resist and I ended up buying 3-4 books!! 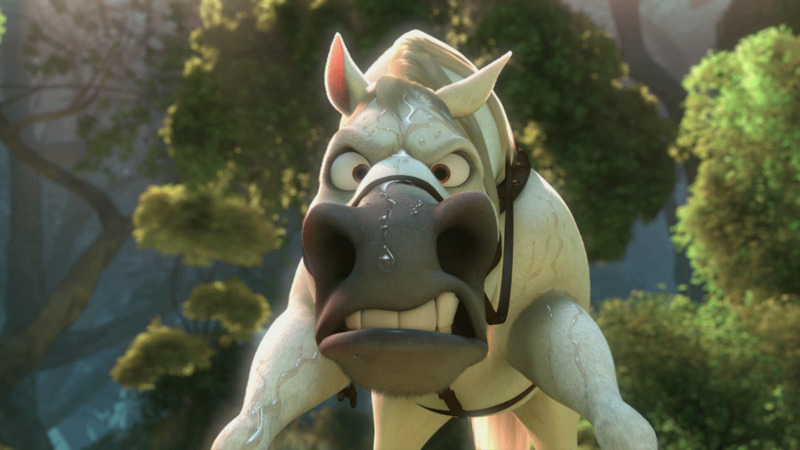 Love the Tangled GIFs. So cute!